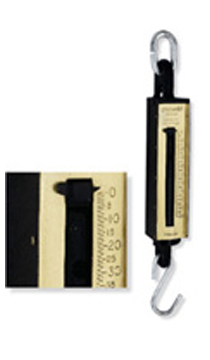 The IronClad Series linear mechanical hangning scales are designed for severe applications making them ideal for shipboard applications, warehouses, receiving docks or any application where harsh environmental conditions are present. The IronClad Series features an extra heavy duty steel and cast iron construction, and have a recessed pointer with deeply embossed numbers and graduations. All IronClads come with holding loop and bottom hook.